We’ve had a lot of questions about when kids will be visiting the Sugar Plum Shop. Below is the schedule, so you know when you should send in money in the little manila envelope. If you sent it in already, your child’s teacher may be holding it for them. 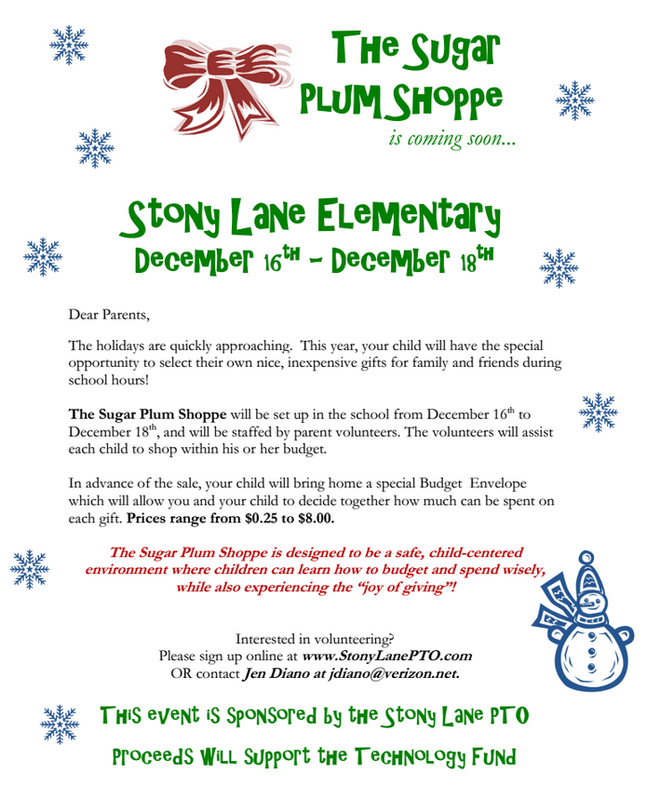 We’d like to thank the Diano Family, who have three children at Stony Lane, for introducing this fundraiser to help support technology in all of our classrooms! 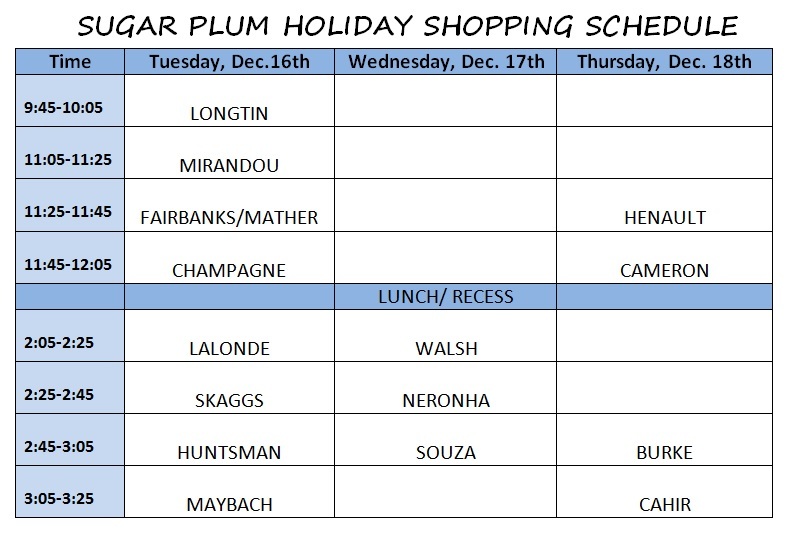 We hope your kids have fun shopping for you at the Sugar Plum Shop this week! Volunteers are still needed for some shifts. Clink below to Volunteer! Just wanted to let you know how much fun my son had at the store! Great idea and I got a beautiful early Christmas gift I will treasure forever! So glad to hear it – thanks for letting us know!